Both the classical and contemporary vocal courses cover the same fundamentals of vocal training and techniques. Students will be equipped with the knowledge of the vocal physiognomy, the fundamentals of breathing, intonation, dynamic control and many other skills. Students will attain a high level in vocal performance through various performance opportunities such as competitions, ensemble performance and master classes. Do you feel that your voice doesn’t project well enough? After you sing for a while, do you have a sore throat? Do you run out of breath when you sing? Can you belt the high notes of a pop or R&B song properly? Do you know the difference between the singing style a classical song and a pop song? Would you be able to impart the message and dramatic context of a musical theatre piece? Are you creative enough to improvise when you sing? OUR VOICE TEACHERS ARE WELL-KNOWN INTERNATIONAL CALIBRE PERFORMERS! 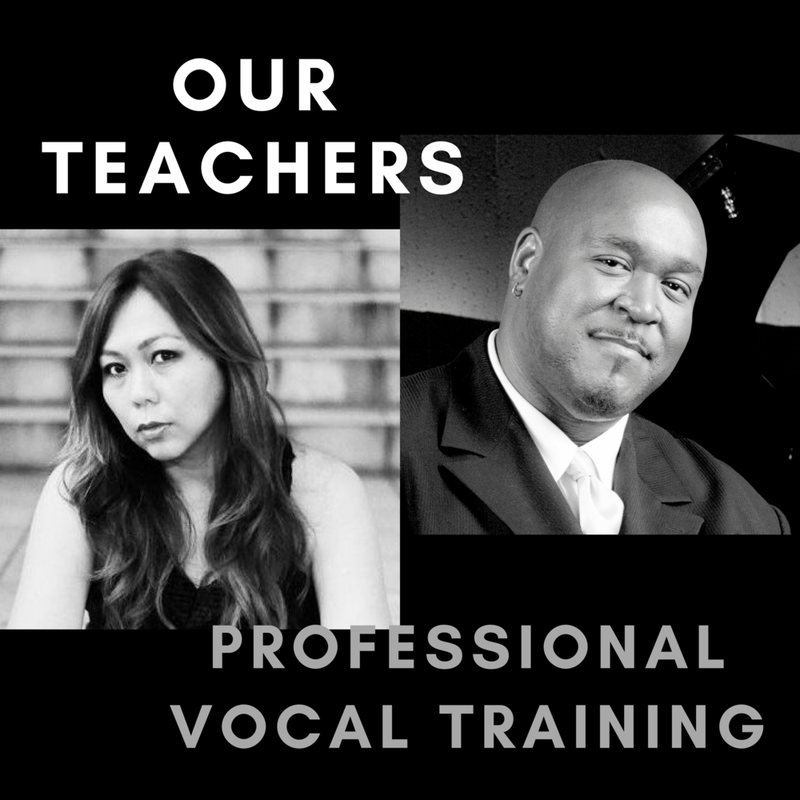 Combining singing techniques backed by scientific research, with years of professional performing experience, our vocal teachers are committed to our students to reach a high level of vocal technique and versatility. Whether you wish to specialise in Musical Theatre, Pop , Rock R&B , Classical Music or Jazz, our teachers are versatile both as teachers and performers and can assist in reaching your goals in a clear and organized way. Here at Studio Verve, we make sure our singing students learn all about Music Theory. Recognising where your vocal starts and ends, and in what key you sound best that is also the most comfortable for you, are very important tools in becoming a singer. These two skills are acquired easily if you have some knowledge music theory or play a musical instrument. Learning to read music and sight-sing not only gives you speed and convenience in learning songs, it also helps you gain a deeper understanding of the music you are doing, and ensures that you can discuss any issues with fellow musicians in a common language. Correct singing techniques will ensure your throat and vocal health. The correct singing techniques should make you feel relaxed with no strain in your throat and neck when you are singing. If you are consistently straining and squeezing your throat to hit notes, you can develop the dreaded "vocal nodules" - which are a mass of tissues that swell and can develop in the vocal chords when they are subjected repeatedly to abusive and strenuous activities like shouting and squeezing and yelling. After this, vocal hemorrahage may ensue. Vocal health is very important to our teachers here in Verve. Trial lessons are available. Call us today to schedule a Free Trial Lesson!